Walks originated by the Foot Trails team. Live Life at 2 mph. 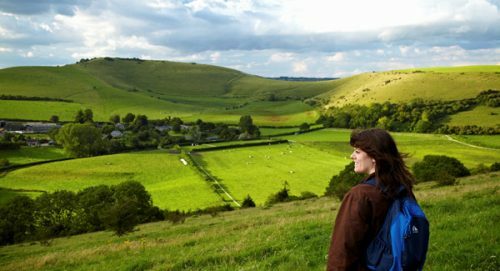 Discover and walk Dorset in the soothing landscapes which inspired author Thomas Hardy to write some of his most well known novels, including Tess D’Urvervilles and Jude Obscure. In an area where time feels as if it has stood still you will experience a rare peace and beauty. Dorset’s breath-taking landscapes offer a timeless wander of unspoilt villages and stories from times that span centuries of history. As featured in Lonely Planet, Independent newspaper travel section, Made in Essex newspaper and Luxury Travel Blog by Maggie O’Sullivan (former travel editor of the Sunday Telegraph) Travel Wrap and more! 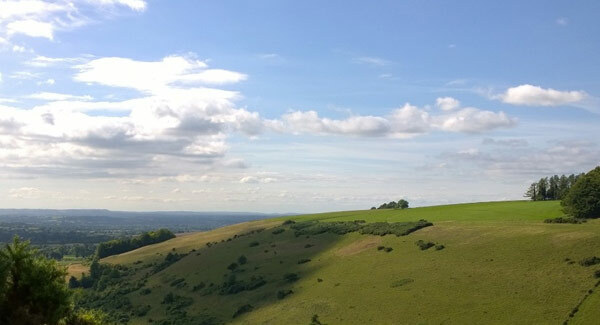 We loved creating this trail for you because the beauty of north Dorset’s landscape is timeless. 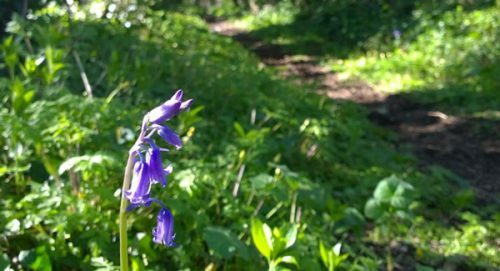 We’ve walked this area for 25 years and we’ve picked local paths that will enable you to get off the beaten track and into the heart of rural Dorset. Our idea was simple. 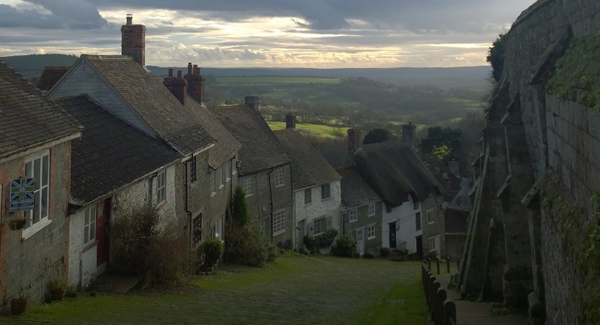 To help you explore places made famous by author Thomas Hardy’s novels. But you don’t have to love his books to appreciate Dorset’s beauty on our trails. Here it feels as if it has stood still. Experience a rare peace and beauty, in a landscape that is little known and rarely walked. On route discover numerous unspoilt villages and stories from times that span centuries of history. They inclue the Saxon hill top town of Shaftesbury (which Hardy called Shaston in his novels) and the village of Marnhull (Marlott). Along the River Stour fast flashes of the vibrant blue feathers of a kingfisher can be spotted as can herons and if you are really lucky you may see an otter. 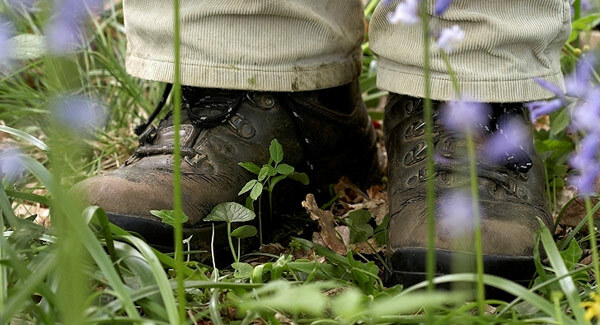 On a Foot Trail you will stay in a hand-picked country inn or country pub. 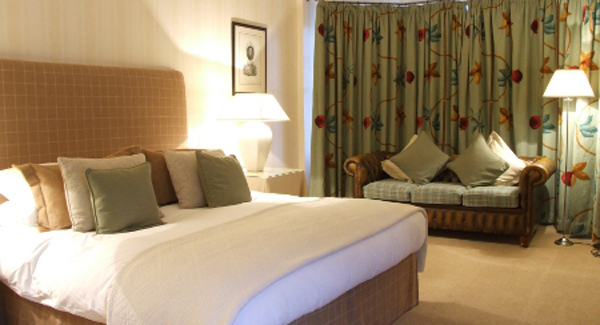 Here you can relax after your walks and enjoy an English village atmosphere, excellent food and comfortable bedrooms. Would you like a FREE full itinerary with photographs taken on route, for this holiday? Simply fill out the ‘Find out more?’ form on your right. Custom made & crafted walking to suit you! Thomas’s Hardy’s Dorset is an inn to inn style walking trip – a linear (one-way!) trail that leads from one country inn to another, spending two nights at each location on route. Your vacation will be custom made to suit your requirements and the season. Daily trails vary in lengths from 8 to 12 miles (13km to 20km). It’s possible to include rest days, sight seeing days and have airport transfers to meet you. 4 to 6 night itineraries are available. All transfers during your holiday are included so you can enjoy a car-free break (just you and your feet!). Arrive by public transport or bring your car to the start (we can organise a transfer to collect your car at the end of your holiday). For a FREE detailed example itinerary, simply pop your details in the form (to your right). It’s about a 2 hour car journey from London, about 1 hour from Bristol. For a truly car-free option the nearest train station is at Gillingham, Dorset. Transfer from the station to your inn is about 15 minutes. For overseas guests the nearest airport is at Bristol or Southampton. London Heathrow is also easy to get to. Airport transfers can be arranged, just ask. One of the reasons guest choose Foot Trails is for our choice and quality of accommodation. Largely independent and privately owned, we enjoy a close and strong working partnership with all our country inns. Small, personal and friendly each is located in a beautiful English village and is personally chosen by Founder Alison Howell. 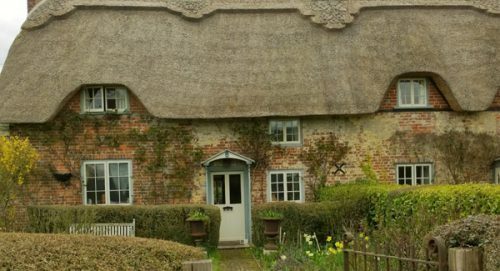 On Thomas Hardy’s Dorset you can enjoy a timber frame building which has been an inn since medieval times, an 18th century country pub with flagstone floors and a 16th century inn with local food, largely sourced from within a 30 mile radius. All bedrooms have their own private and en-suite bathrooms. 4, 5 and 6 night holidays are available from 01 March to mid November. These are ‘car-free’ holidays. 6 night Thomas Hardy’s Dorset can also optionally include an exciting trip to Stonehenge, where Tess’s story concludes. Your trip will be planned for you to your dates and for how long you wish to stay. There are no fixed scheduled dates. We do recommend booking in advance as places each month are limited. *Based on two sharing an en-suite bedroom, staying on a bed & breakfast basis. Includes all luggage transfers and transport during your holiday. For 6 night holiday we will provide options for a private guided day tour to Stonehenge with Foot Trails Alison and David Howell. • Independent (self guided) walking days tailored to you and the season • Tailored walk and explore pack • Local Ordnance Survey™ maps (waterproof) • Trail guide cards (waterproof one for each day with easy to follow instructions) • Local stories and histories • Recommended lunchtime stops at country pubs and cafes • Nature cards for identifying wild flowers, trees and animals • Seasonal nature guide book • Sweets (for a boost on route) • Your en-suite accommodation • Breakfasts • One bottle of wine • A decade of expertise and know-how • Inn to Inn luggage transfers with Foot Trails trusted team of drivers • Drop off services when it makes a walk better. Just get in touch to let us know your preferred dates and we will look after the rest. We strongly recommend booking in advance. Places in our small country inns are limited each month. You can call us on +44 (0) 1747 820626 or use the form to your right to send a message or request an itinerary. Thanks for a fantastic holiday. From start to finish – a dream. Paradise is this piece of land called England.Thanks for our holiday. Thank you for everything you and your colleagues did to make our walking break so enjoyable and stress free. It was just what we both needed. We really enjoyed all the walks and we thought the accommodation was spectacular. We hope to be back again at some stage soon. Absolutely brilliant. Everything we wanted and more.